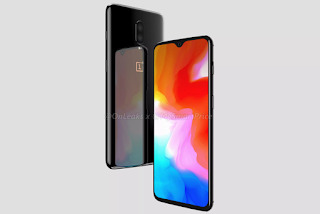 The official unveiling of the OnePlus 6t is just a couple of days away and the CEO of the company Pete Lau has already confirmed some of the features to expect in the upcoming flagship as well as the changes made from its predecessor. Most of you already know that the upcoming OnePlus 6t won't have an headphone jack. According to Lau, the reasons for removing this is to create enough space to further increase the battery capacity of the device as well as add new features. One of the added features is the new in-screen fingerprint reader. The in-screen fingerprint reader on the OnePlus 6t will be the first on any OnePlus device. This will replace the rear mounted fingerprint reader found on the OnePlus 6 and the OnePlus 5t. The addition of the optical image sensor for the in-dislay fingerprint reader will also make the phone about 0.45mm thicker than its predecessor. The CEO also talked about water resistant on the upcoming OnePlus 6t. According to him, even though the OnePlus 6t will be more water resistant than its predecessor the OnePlus 6, it won't come with any official IP rating due to the cost of obtaining it. If you are hoping for a wireless charging on the OnePlus 6t then your hope might just have been shattered as Lau has confirmed it that the OnePlus 6t will not come with wireless charging feature. The reasons for this is due to the much heat this will produce and also the fact that wireless charging is not yet as fast as the conventional way of charging. The official unveiling of the OnePlus 6t will take place on the 16th of October which is less than 2 weeks away and sales will commence a week after.